Licensed by Disney to Camelot Fabrics, this cotton print is perfect for quilting, apparel and home décor accents. This is a licensed fabric and not for commercial use. Colors include black, navy, rust, royal, teal, orange, pink, yellow, grey and white. 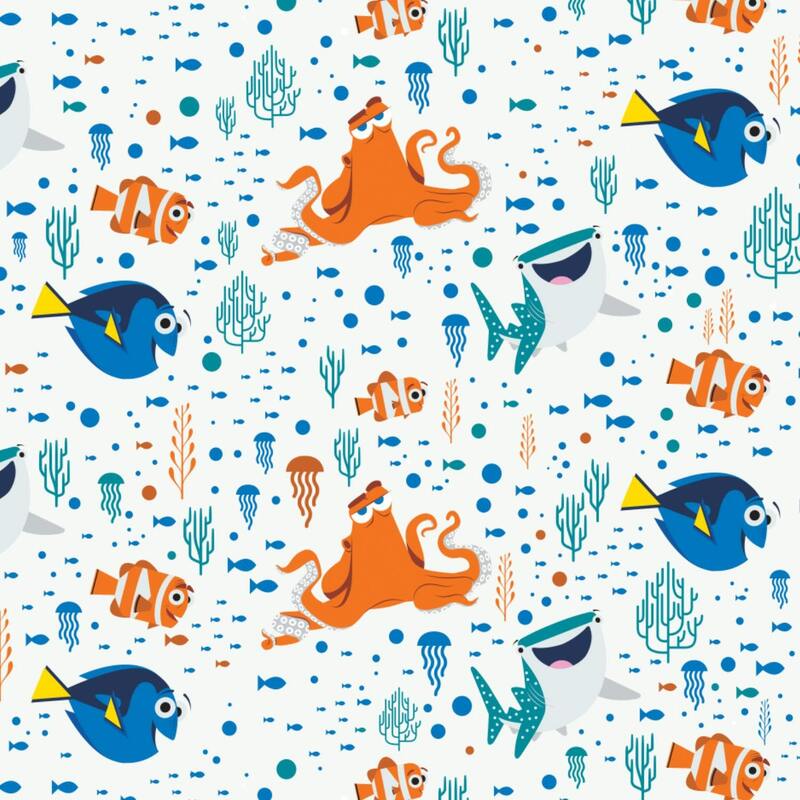 Another fun fabric from the Finding Dory fabric line from Disney. Finding Dory line of fabric is great for quilts, crafting and garments. View all of our Dory fabrics, we are sure you will giggle when you see the whimsical faces. All fabric at The Quilted Nursery Children's Fabric Store is sold by the yard and cut directly from the bolt. If you require special yardage please send us a message and we will be happy to accomodate your requests! Same day shipping always. Such a great fabric! Excellent service too! Thank you! Super fast shipping and responses, very professional and fabric is perfect, thanks so much! Thanks for shipping so fast! Just what I needed - thanks!